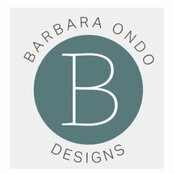 Barbara Ondo Designs is an interior design firm which has served clients throughout the southeast United States since 1987. Barbara Ondo Morrison and her staff work with builders and developers to provide complete interior and exterior design services for projects of any size. Commercial and residential, our experience spans the complete design spectrum including model home merchandising, office building interiors, senior living, apartment community clubhouses and leasing centers, government projects and individual home renovations. We work directly with architects and builders starting with the blueprint stage to ensure the incorporation of space planning, design elements and functional features, greatly reducing construction changes and increasing the builder’s bottom line. We also conduct design consultation appointments with homebuyers, guiding the selection of all features for their new homes with appropriate suggestions for upgrades, thereby greatly increasing the profitability of the home sale. We have been featured in several magazines and showcased in newspapers for our design work and community service. Throughout the years our merchandised models have captured Parade of Homes Awards and we have won numerous state Excel and annual Laurel Awards for Best Interior Design in many categories. Our office and design building is company owned and located in the heart of the San Jose area of Jacksonville. Barbara Ondo Designs has been a member in good standing with The Northeast Florida Builders Association and the Sales and Marketing Council for over 20 years.